Injecting cancerous tumors with microscopic particles and then zapping them with lasers seems like an idea ripped straight from the pages of science fiction. Yet, that is precisely the treatment strategy which investigators at the Niels Bohr Institute and the Faculty of Health Sciences at the University of Copenhagen have been developing to kill cancer cells. 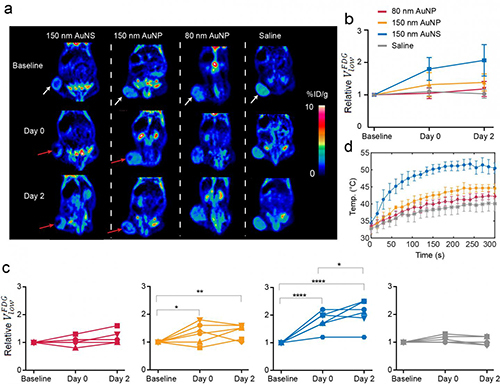 The researchers report in their findings, which were published recently in Scientific Reports in an article entitled “Single Particle and PET-based Platform for Identifying Optimal Plasmonic Nano-Heaters for Photothermal Cancer Therapy,” that the treatment has been tested on mice—with results demonstrating that tumors become considerably damaged. Traditional cancer treatments like radiation and chemotherapy have major side effects because they affect not only the tumors, but also healthy parts of the body. A large interdisciplinary research project between physicists at the Niels Bohr Institute and doctors and biologists at the Panum Institute and Rigshospitalet set out to develop a new treatment that only affects cancer tumors locally and therefore is much gentler on the body. The project is called Laser Activated Nanoparticles for Tumor Elimination (LANTERN). After experimenting with various biological membranes, the researchers tested the method on living mice. In those experiments, the mice were given cancerous tumors derived from laboratory-cultured human cancer cells. The research team then tested small nanoparticles between 80 and 150 nanometers (nm) in diameter (a nanometer is a millionth of a millimeter). The tested particles consisted of either solid gold or a shell structure consisting of a glass core with a thin shell of gold around it—in an attempt to determine which particles are most effective in reducing tumors. 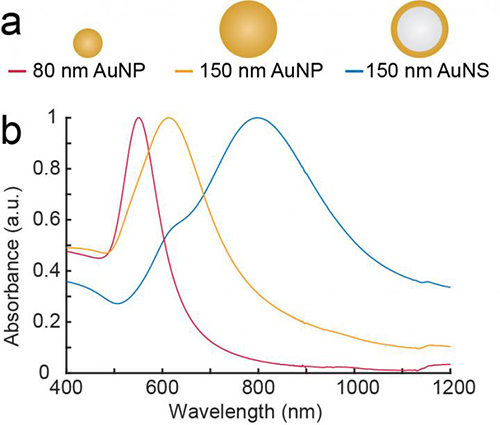 The investigators found that they received the best results with nanoparticles that were 150 nm in size and consisted of a core of glass coated with gold. Furthermore, the nanoparticles were illuminated with near-infrared laser light, which is the best at penetrating through the tissue. In contrast to conventional radiation therapy, the near-infrared laser light causes no burn damage to the tissue that it passes through. Subsequently, an hour after the treatment, the research team could already directly see with positron emission tomography (PET) scans that the cancer cells had been killed, and the effect continued for at least 2 days after the treatment.